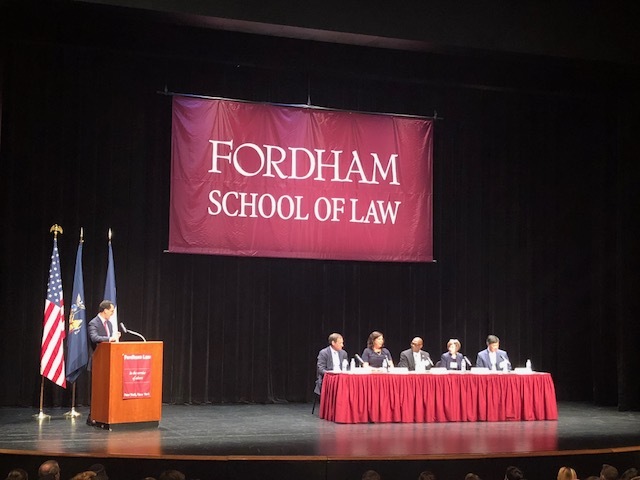 On August 30, Fordham Law School held the final program of 1L Orientation for both day and evening JD students, the Professionalism Panel. FLAA President, David B. Anders ’94 moderated the discussion between Jojo Annobil ’90, Hon. 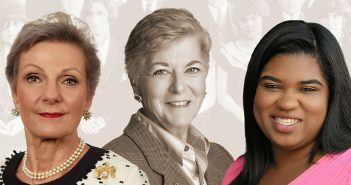 Denny Chin ’78, Eric F. Grossman ’93, Maura Kathleen Monaghan ’96, and DA Madeline Singas ’91. The alumni panelists offered advice on what it means to be a true professional and how lawyers must uphold the privilege they have of being able to protect society. The Professionalism Panel was a culmination of a three part orientation professionalism series for the students which focused on respect, grit, honesty, and integrity. As I enter into the legal profession and begin my legal studies at Fordham Law School, I pledge to act with the utmost good faith and integrity. I will study diligently, commit myself to honest performance on every assignment and examination, and uphold, at all times, Fordham Law School’s Code of Academic Conduct. I will interact with colleagues and adversaries alike with honesty, professionalism, and civility. 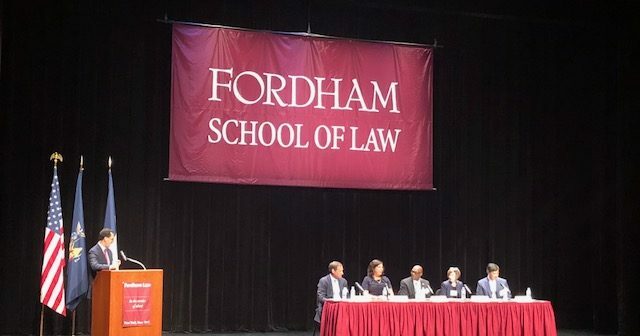 I will seek opportunities to provide leadership and to serve my community and will behave in ways that reflect positively on me, Fordham Law School, and the legal profession.